Why do politicians send troops to foreign soil, to fight battles they rarely win? Is it old-fashioned imperialism tainted with a crusader complex? Or is the West a partisan for the helpless? The fall of the Soviet Union left the West aimless. With no conflicting dogma to reinforce its sense of justice the West assumed the role of global policeman - aid graduated from charitable to economic and, finally, military. Ideological struggle was replaced by a vague and confused concept of international justice, shrouded in real-politik. Yet scepticism now pervades the interventionist debate. Simon Jenkins traces the rise of 'liberal interventionism' from Kosovo and the 'war on terror' to present day conflicts in Libya, Syria and Ukraine, asking: what can we learn from the miscalculations, mistakes, and mendacity of 'the age of intervention'? As ISIS sweeps through Middle-East, calls for a military solution are increasing. 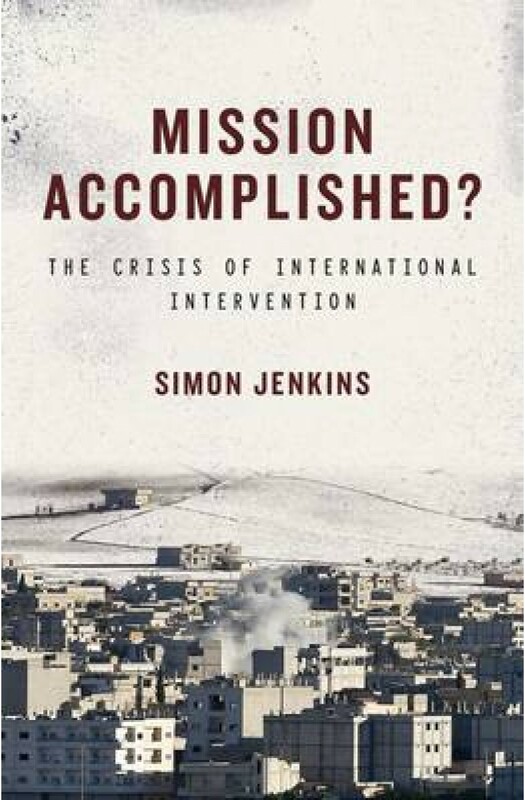 By exposing interventionist rhetoric and highlighting past mistakes, Jenkins gives us an invaluable contribution to the active and essential debate on the West's role in global conflicts.